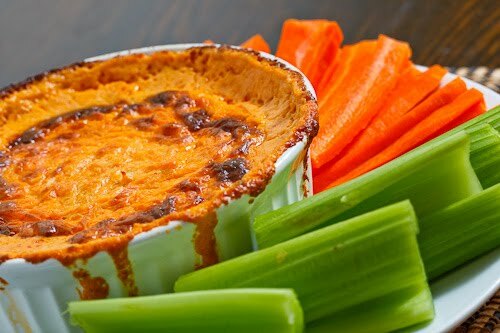 Simply Southern Girl: Buffalo Chicken Dip Receipe..
Football Season is just around the corner and that means just one thing.. Tailgates with friends. Whether you are hosting a watching party at home, or attending a local tailgate this promises to be a favorite.. I am currently in Texas at Release Figure Management "bootcamp" for the National Panhellenic Conference.. When doing introductions yesterday we all shared out the mascot of our collegiate institutions. It was such a fun time.. We learned that fellow RFM specialists hailed from the same schools, rival schools, etc. That some mascots had changed, had identity crises or were not very intimidating. What college/university did you go to? what was your mascot?? 1. Mix everything, pour it into a (16 ounce) baking dish and bake in a preheated 350F oven until bubbling and golden brown on top, about 20-40 minutes.